The glorious Coast to Coast crosses multiple regions scenically, geologically and ecologically passing through three National Parks en route. At 285 km (178 miles), the Coast to Coast is a challenge as well as a delight. Expect it to take around two weeks. 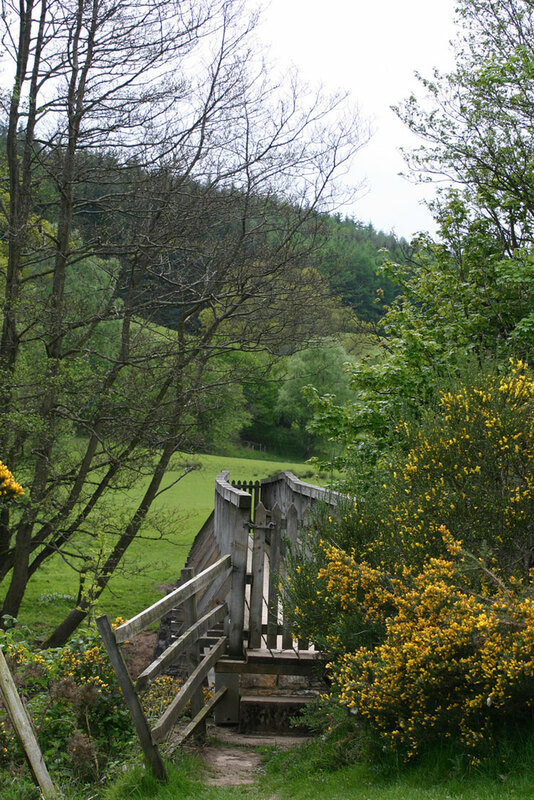 Many dont have a fortnight to spare, and tackle favourite sections of the walk. The route across the Lake District has been brilliantly chosen, passing through consistently beautiful landscape in this marvellous area. 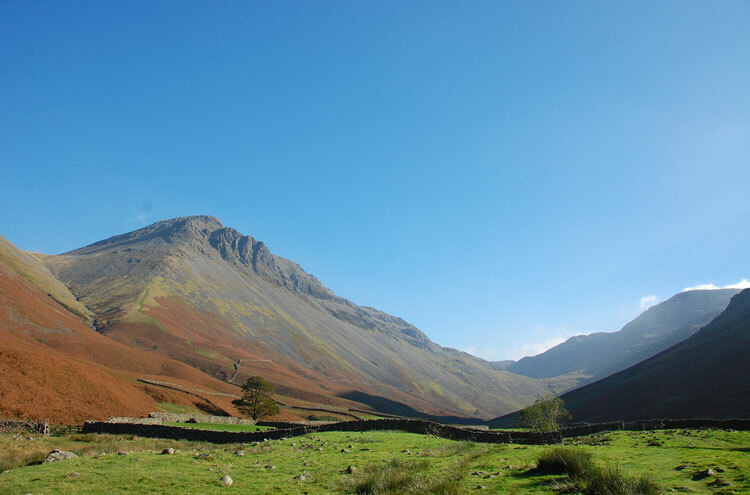 The crossings of the magical undulating limestone hills to the east of the Lake District, and of the Peninnes and dale country of central northern England, are every bit as beautiful and inspiring. 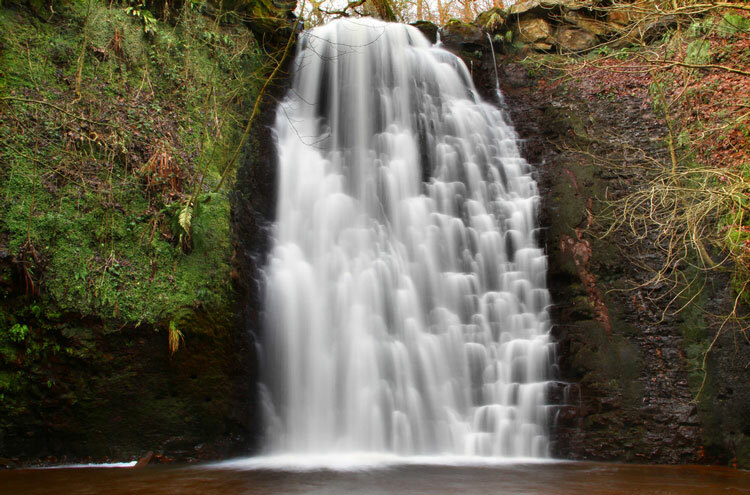 The grand finale is the crossing of the Cleveland Hills and the North York Moors, to the rugged eastern cliffs and Robin Hoods Bay. The glorious Coast to Coast crosses multiple regions - scenically, geologically and ecologically - from St. Bees on the Cumbrian coast to Robin Hood's Bay to the east of the Cleveland Hills, passing through three National Parks en route. At 300 km (190 miles), the Coast to Coast is a challenge as well as a delight. Expect it to take around two weeks. Some carry full packs, some get their luggage carried. Many don't have a fortnight to spare, and tackle favourite sections of the walk, stitching them together into the whole garment over time. 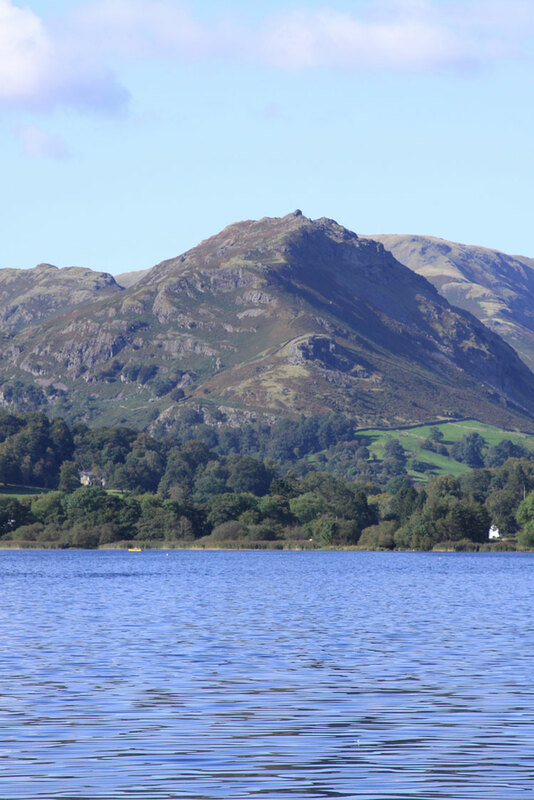 The route across the Lake District [link to Coast to Coast, LD page] has been brilliantly chosen, passing through consistently beautiful landscape as it meanders up perfect valleys and crosses high ground, with magnificent views of the peaks, lakes and valleys all around. 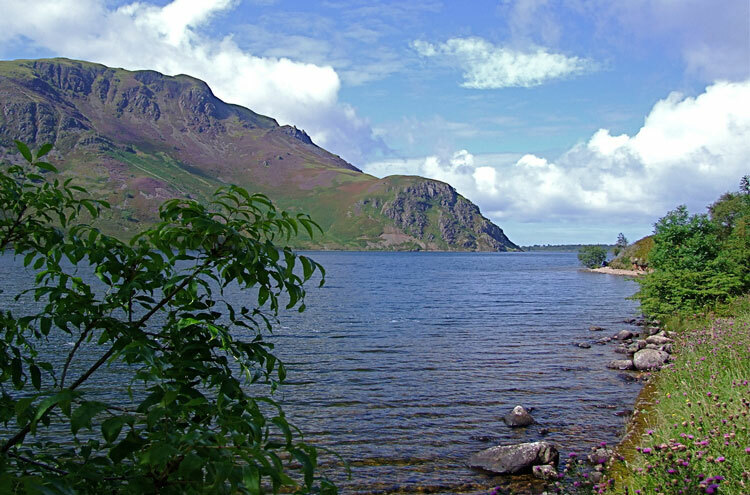 This route takes 4 days from Ennerdale Bridge to Shap, via Borrowdale, Grasmere (Wordsworth's house) and Patterdale by Ulswater. 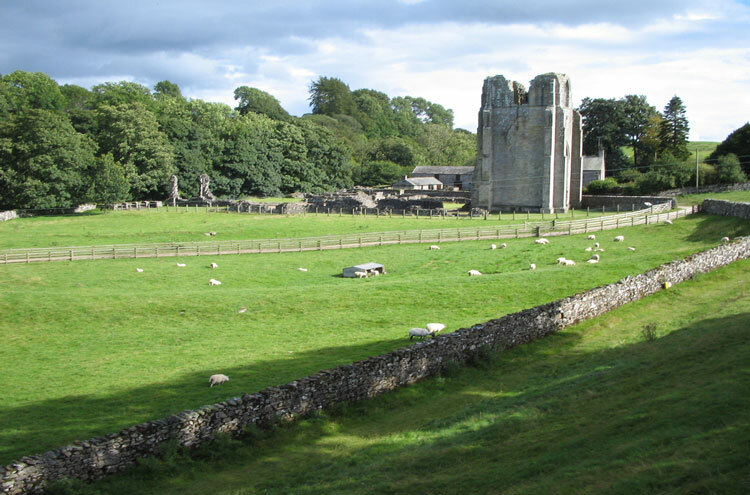 The crossings of the magical undulating limestone hills to the east of the Lake District, and of the Peninnes and dale country of central northern England (Yorkshire Dales [Link]), are every bit as beautiful and inspiring, each excitingly different. The lowlands of the Vale of Mowbray are attractive and interesting, but not in the same class. 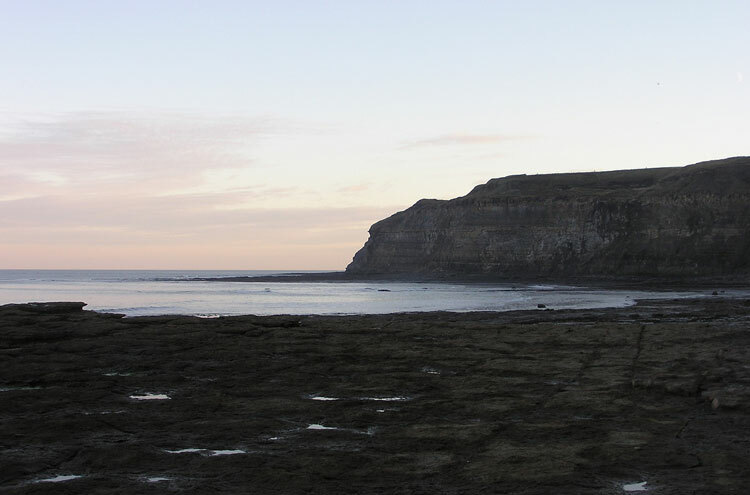 The trail then commences its grand finale, the crossing of the Cleveland Hills and the North York Moors, to the rugged eastern cliffs and wonderful Robin Hood's Bay. Many famous walks should be approached with some skepticism - think overrated Kilimanjaro - but the Coast to Coast exceeds its billing. The trail is a bit degraded in places, and often involves some puffing. It can get overpopulated in high season. Traces of humanity, much of it intriguing - from the prehistoric to Roman relics to Viking cairns to medieval castles, to the tough hill farming that has contributed so much to the beauties of British landscape, to mines and other remains of trade and industry, much of it pioneering. Accommodation consists of inns, and bed and breakfasting (many of them delightful) and hostels and campsites. There are firms that will take your bags from place to place, making for mellower walking and the potential to cover larger distances. While no section is excessively difficult, the whole route is a serious undertaking (even more so if carrying a full pack), and it is vital to prepare and get properly fit, including for pack carrying where relevant. Our group of 4 walkers have just completed Wainwrights Coast to Coast. The first 6 days was the most beautiful and scenic countryside I have ever seen. The climbs were steep but not impossible. The Lakes District is simply amazing. This is then followed by the Dales. Much flatter but equally scenic. The four of us averaged an age of 55yrs and we found the route ok to do. Would recommend this walk for first time senior hikers. Please be aware that there are now several variations on the classic coast-to-coast route made famous by Alfred Wainright. These have been devised in part because Wainright's route has become so well-known that it can become crowded. One of the alternatives was devised in the early 1990s by David Maughan and published as On Foot From Coast to Coast (published by Michael Joseph). Maughan called it the 'North of England Way' which doesn't seem to have caught on, so his route remains relatively little known. Nevertheless I completed his 200-mile route in March 2011 in two weeks, starting at Ravenglass in the Lake District and ending on the cliffs at Scarborough. 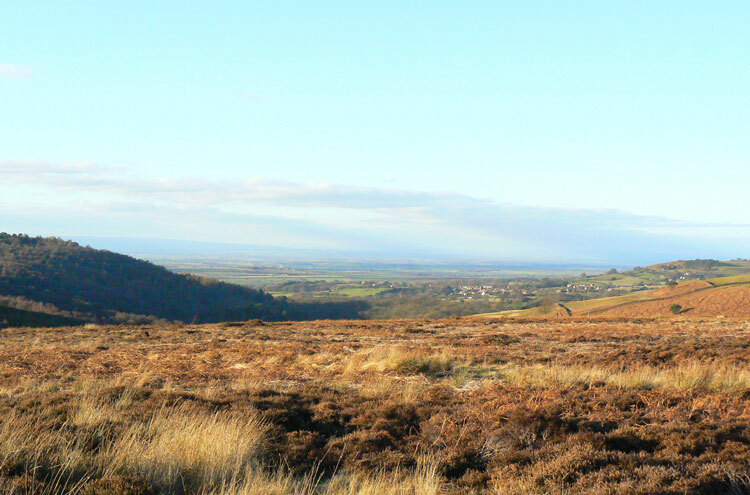 The route takes you through some of the best hill and dale country of northern England with the bonus that you are rarely likely to be walking in a crowd of people all heading towards the same youth hostel. The sections through the Yorkshire Dales are particularly memorable. The main drawbacks are that there are some long stretches of road walking in the middle section and that some of Maughan's 'routing' is sometimes unnecessarily complicated. 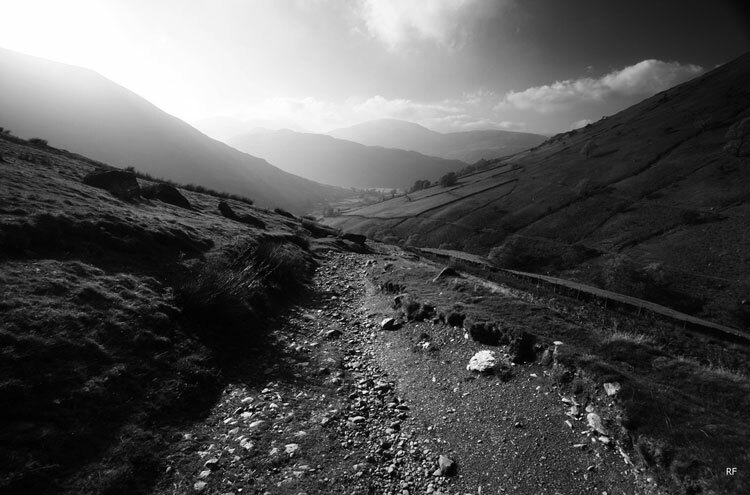 In one early stage he sends you up a steep Lake District fellside on a crumbling poor path. Doubtless the pouring rain and thick mist didn't aid my appreciation of this route, but looking across the tumbling stream I next had to cross I wondered why his route hadn't sent me up the well defined path on the opposite bank. There are several other fiddly sections like this. On the whole though, Maughan's route is a viable and atisfying way of experiencing a cross-section of English culture and countryside in its hilly parts. 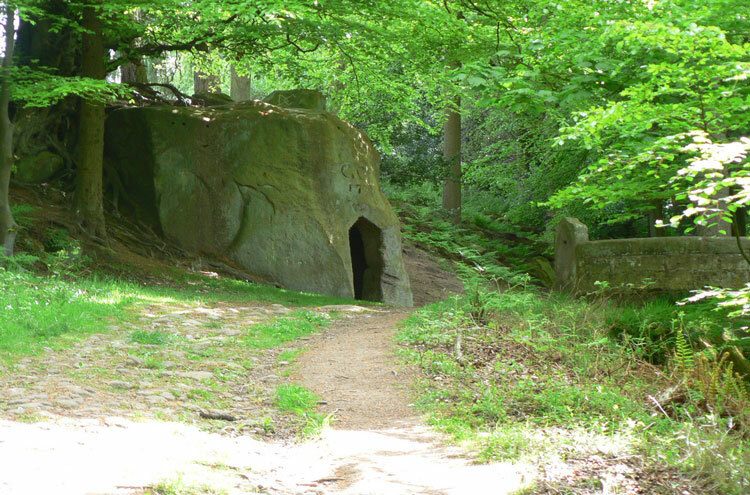 It's an alternative worth exploring for those who enjoy solo walking or following the 'less trodden way' in crowded old England. We more or less followed the classic route with the following deviations, low on Ennerdale's south edge, helm's crag and striding edge. I wish we'd gone for the high route on the second day. We broke the longer days up with several extra stops and rest days where possible. Overall it was an amazing walk, the main exception being the awful Richmond to Ingleby slog. You could break it into two at the pub half way, or skip it entirely with a taxi or buses. The morning was at least moderately interesting, the second half had no redeeming features. 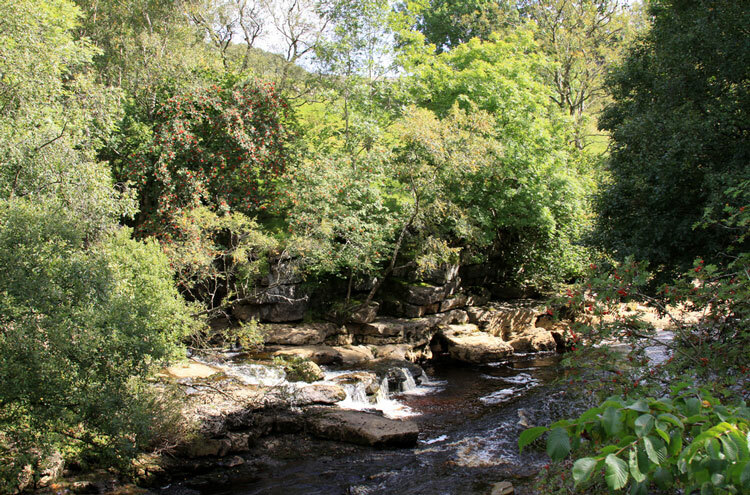 The other day that seemed oversold to me was the high route along the Swale, I think the river walk is a better bet. Also the stroll around St Bees headland seems a bit of padding. One unexpected joy was the walk up the valley to Falling Floss. Even in the rain it was lovely. Incidentally the best pub food along the way was at the Brook Inn at Cleator, the Traveller's Rest in Grasmere, The Blue Bell in Ingleby Cross (great steak), and Buck Inn, Chop Gate. Personally I thought Robin Hood's Bay was a bit dull, and would have rather have stayed in Whitby after the walk. We used Sherpa to book B&Bs and to carry our pack, they were entirely efficient, and invisible. Overall it was not the best walk I've ever done, but it was the best in the UK (the good bit of Hadrian's Wall is too short). He seduced me completely: Passion; obsession; a love affair - all played out between the sheets of a miniature book. A gift. The book was a labour of love: every word meticulously handwritten in a tiny perfect script, every map and drawing filled with careful detail. His was a life-long affair. I had to go with him on the journey. His name was Alfred Wainwright and his dream was a coast to coast walk across England from the Irish Sea to the North Sea. But when I found myself pregnant, my plans to follow in his footsteps were aborted and instead I gave birth to my eldest son. Thirteen years later, I was finally setting out. This time I was bringing my child, his younger brother, and the father of my children. I opened the door at St Bees and felt a rush of cold air. What lay beyond - other than meadow, mountain and moor? My heart beat fiercely with the anticipation of the unknown. Down on the shore, we dipped our toes in a slate-grey Irish Sea and collected smooth round pebbles to carry across our island. I thought of the two hundred miles ahead and wondered if I was asking too much of my young sons. But it was too late now for second thoughts. We turned our backs on the shore and tenuously took our first steps. Ahead, a helter-skelter coast: the boys flew down steep inclines, only stopping once to skim stones across a narrow inlet. Before long, we were turning inland towards the hills. In Ennerdale forest, shafts of light fell like daggers between the clearings. It was eerily still. In front of us, the mountains rose up menacingly. We’d be going up there, but for now the path was wide and easy and we gobbled up the last miles of the day. The rising hill, the endless slope, the sheer climb: I took great gulps of breath as we climbed Loft Beck, dragging legs heavy as iron. At last we reached the sky. The children careered across the moor, whirling with the wind, light as kites. How could I have doubted them? I watched them on the skyline racing the clouds and hoped they would hold onto the essence of our walk long after the memory had faded: an ability to dream big; a different perspective on time and place; a greater sense of their place in the scheme of things. Atop Loft Beck, the land fell away to the sea far on the horizon. We could see the route we had travelled. We would have been invisible dots on this sweeping landscape, moving slowly across the days like ants on the earth. Now, I felt more connected to the rhythms of my ancestors, more connected to the land that ground me, more connected to the time that bound me. You see the world differently when your pace has been slowed right down. We followed the sun, the wind and the driving splinters of rain across the landscape. 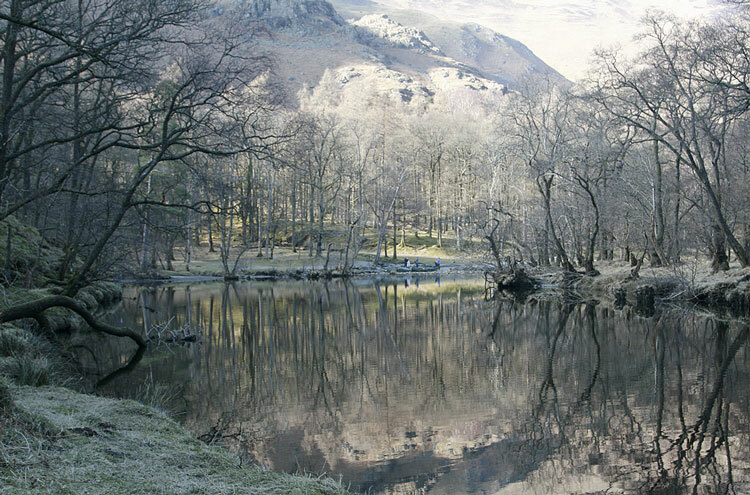 By Grasmere there was water everywhere – above our heads, below our feet, rushing down the mountainsides in every direction towards us. 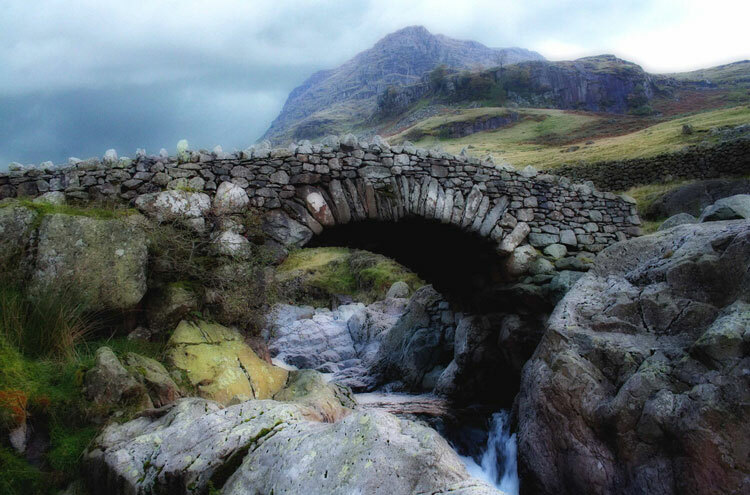 We forded streams that threatened to engulf us, leaping gingerly from stone to stone. My youngest wanted to go home. But still we trudged on. High above Patterdale, the Fells stretched out like ripples on the horizon, each range an echo of the one before, until the last was just a faint smudge on the skyline. Here, there was a dark beauty and a threatening wind. All at once, I felt small and vulnerable. 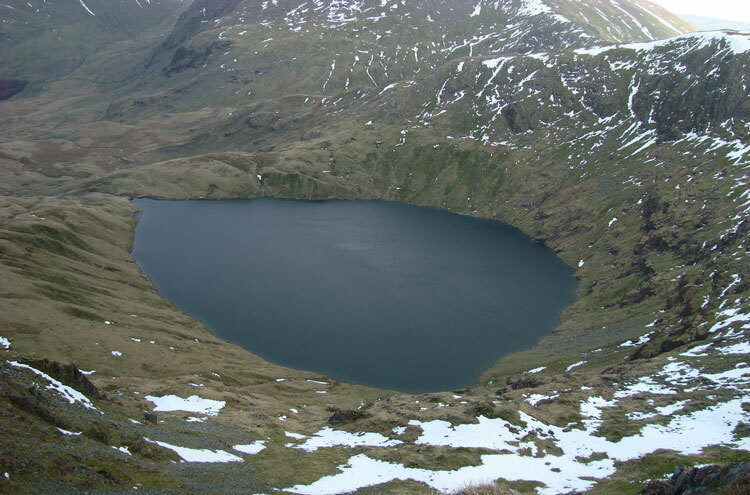 With relief we dropped off the mountains to Haweswater. “Taking the children for a walk?” A walker called out to us, looking uncannily like Mr Miyagi from the Karate Kid. “Just across England,” I replied on cue. “They are fitter and faster than me,” I laughed. “Oh, yes. They have health, youth and time. “Treasure these gifts,” he advised my sons solemnly. Leaving Shap, the rain drove us on towards Orton. It was truly dirty weather. Civilisation was grim too: the cold metallic railway line, the river of tarmac that was the motorway, the roaring cars and the ripped up hillside with its quarry chimney stack belching out smoke. We headed up onto the moors again. In ‘Death Valley’ we found dead rabbits at every turn. Intestines, liver and kidneys were strewn across the path. Even the foxes knew better than to eat offal. In the local pub we glumly supped on smoking bowls of hot soup and spent the afternoon steaming dry. Then comic relief: In the bogs above Kirby Stephen, I sank into peat up to my knees. Husband Tom tried to drag me out, but the only thing threatening to move was my arm from its socket. I screamed hysterically. The children were hysterical too – with laughter. Tom dug me out of the bog with his bare hands. The shame. We had crossed the Vale of Mowbray and had reached the Cleveland hills. Early morning, and the sun was already hot as we climbed up onto the ridge. We plunged into cool, dark pine-scented woods and finally emerged blinking in the sunlight. A moon still hung palely in a powder blue sky above a carpet of deep purple heather. The Vale of Mowbray stretched out behind us, with the Yorkshire Dales beyond. Happiness crept in and curled up beside me. At last, my body was in rhythm with the ground I was walking on. I could feel the Earth breathing beneath my feet; sensed it spinning in space. Each day I watched the sun rise in the east and fall in the west. The movement of time, the days and the seasons, was ever present: the morning dew on my boots; later the crackle of dried grasses underfoot; an arrow of birds heading south; pollen drifting across my vision; my boys growing up in front of me. 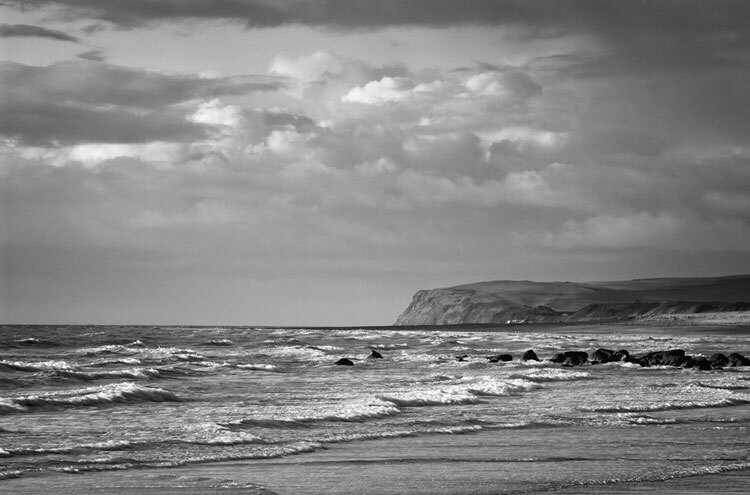 Then ahead, Rosebery Topping on the horizon, askew like a squished cake - and beyond it… at last, the North Sea. We were marching on towards the end. It didn’t matter that we were climbing steeply to drop much of the height we had gained. We were unstoppable. Over the last rise and we found ourselves on a wide dismantled railway, twisting and cutting a long five miles over the moors. I could smell the sea now; hear it whisper to us. 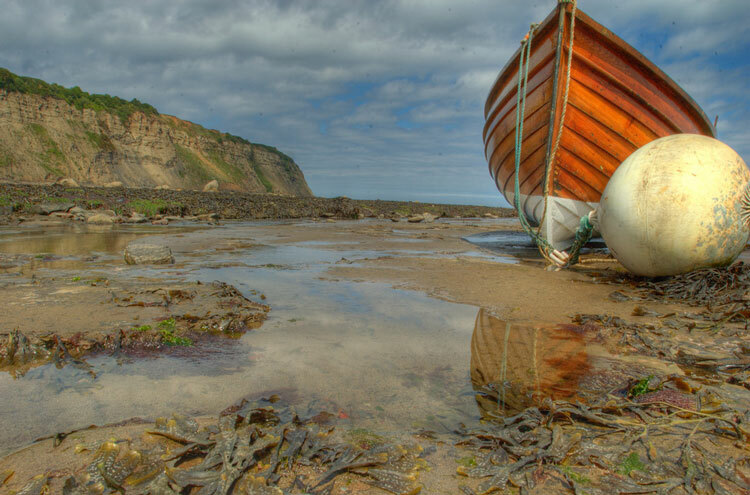 Robin Hood’s Bay was beckoning. We turned a corner to see the red-topped cottages tumbling into the ocean. Down on the beach, we dipped toes in the cold North Sea, exchanged high fives and flung our pebbles from the Irish Sea far out into the North Sea. I watched my children, heads bent together, deep in conversation, as they fashioned a makeshift boat with the remaining stone: a lollypop stick mast and a leaf sail secured with reed. “Mr Miyagi was right,” I thought. “This walk has been a gift”. Silently, I thanked Wainwright. And the boys pushed their pebble-boat out to sea - their own gift to the ocean. But for us, the long trek was over.